A paradigm-changing Ludwig Cancer Research study reveals that short fragments of circular DNA that encode cancer genes are far more common in cancer cells than previously believed and probably play a central role in generating the cellular diversity that makes advanced cancers so difficult to treat. The new findings, published online today in Nature, are likely to change the way tumor evolution is understood by scientists and could ultimately lead to new ways to prevent and treat many malignancies. 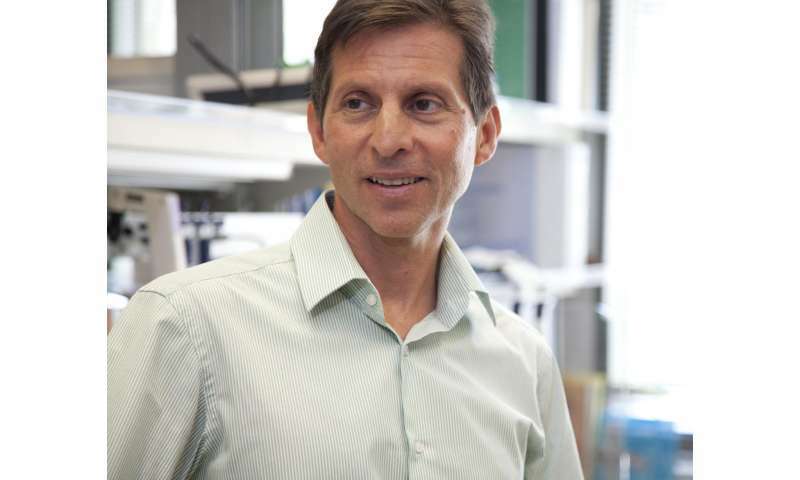 In their study, an interdisciplinary team led jointly by Ludwig San Diego's Paul Mischel with Vineet Bafna of the University of California San Diego School of Medicine analyzed cells from 17 different types of cancer to explore extrachromosomal DNA (ecDNA), which is so named because it is unassociated with chromosomes. They report that ecDNA is a key feature in nearly half of all types of tumors and show that it encodes multiple copies of cancer-driving genes. The researchers also show that ecDNA plays a far bigger role in the growth, diversity and drug resistance of cancer cells than the same genes housed on chromosomes in such tumors. "We've discovered something fundamental about how cancers diversify and evolve," says Mischel, a member of the Ludwig Institute for Cancer Research, San Diego. "This is an essential rethinking about what goes wrong with genes in cancer." In their paper, Mischel and his colleagues describe how they integrated several different technologies, including genomics, bioinformatics and classical cytogenetics, to detect, quantify, and analyze ecDNA. They found ecDNA in 40% of tumor cell lines but extremely rarely in normal cells. And when they looked specifically at patient-derived models of brain tumors, nearly 90% of these carried ecDNA. The researchers, spearheaded by Kristen Turner, Viraj Deshpande and Doruk Beyter from the Mischel and Bafna labs, found that cancer-fueling genes, or oncogenes, are more likely to occur on ecDNA than on chromosomes. They then quantitatively modeled these findings and verified their model's predictions through experiments conducted on tumor samples from patients. These studies revealed that tumors are more diverse—or heterogeneous—when oncogenes are amplified on ecDNA instead of on chromosomes, enabling them to more rapidly achieve and maintain high levels of cancer promoting genes. Unlike chromosomes, ecDNA is parceled out randomly to daughter cells when a tumor cell divides. So any given cell in a tumor might have no ecDNA in its nucleus or be crammed to the proverbial gills with the stuff—and the greater the variation in their number, the greater the heterogeneity of cells in a tumor. It is this cellular diversity that makes tumors far more resistant to environmental challenges, most notably drug therapy. The new work was inspired by a previous study led by Mischel and reported in Science in 2014. In that study, Mischel and colleagues revealed that ecDNA plays a central role in the drug resistance of certain brain tumors. This came as a surprise because, for decades, cancer biologists had focused more on which genes promote cancer rather than where those genes are located. Genomic technologies too evolved along lines that favored this type of analysis. Although a few cancer biologists in the 1960s had described the presence of ecDNA in some tumor cells, they lacked the tools to quantify ecDNA, so the phenomenon had long been considered rare and inconsequential to the development of cancer. "It occurred to us after we made the observations published in 2014 that maybe ecDNA is a lot more common and consequential than anyone thought," says Mischel. "Understanding how tumor cells evolve and how they increase the copy number and variability of their drivers is likely to yield some pretty important clues about the fundamental biology of cancer and how we might be able to target it," says Mischel. He and his team are now working to unearth the molecular mechanisms involved in the genesis and maintenance of ecDNA and exploring how ecDNA levels change in response to changes in the tumor's internal environment.